Obituary for Barbara Ann (McIntyre) Girdler | Donaldson Funeral Home of Clarksville, P.A. 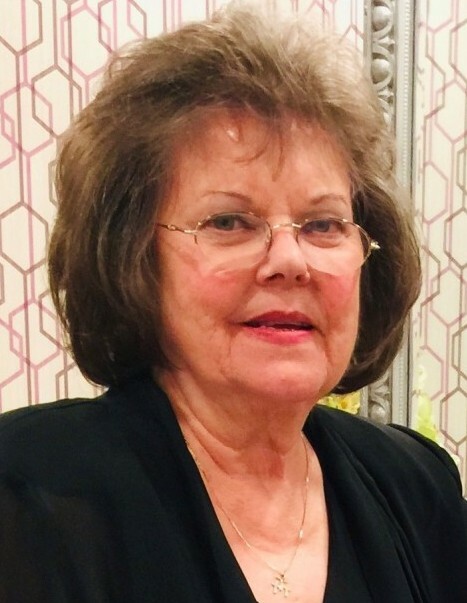 Barbara Ann (McIntyre) Girdler, age 70, died peacefully at home in her sleep on Sunday, March 24, 2019 as a result of congestive heart failure brought on by sarcoidosis. The oldest of four children, Barbara was born in Brooklyn, NY on January 12, 1949 to William and Doris McIntyre. After graduating from Farmingdale High School, she studied oboe at The Manhattan School of Music until she married her beloved high school sweetheart and newly-minted US Navy sailor--Jeff--on December 29, 1968. They lived in Virginia Beach, VA and Italy before settling in the Washington, DC area when Jeff was assigned to the United States Navy Band as a french horn instrumentalist. After the birth of their only child, Tim, Barbara enrolled in the University of Maryland, graduating with a B.S. in Education in 1978. She was a well-known, in-demand music educator of some renown, spending much of the next 15 years as a band director at Elizabeth Seton High School in Bladensburg, MD and Perry Hall High School, north of Baltimore. After retiring from band directing in 1994, Barbara served for several years as Minister of Music at United Baptist Church in New Carrollton, MD. For the last 20 years, she poured her professional energies into countless private oboe students, whom she adored. Until recently, Barbara played oboe and was the English horn soloist with The Columbia Orchestra. The most important things in Barbara’s life were her family, her students, and her relationship with Jesus Christ, her Savior--whom she desired to glorify with everything she did. She was an active member of Burtonsville Baptist Church, where her husband Jeff is the Associate Pastor. Barbara was preceded in death by her father and her sister Kerry. She is survived by her mother, her brother Bill, her sister Sue, her husband Jeff, her son Tim, her daughter-in-law Bonnie, and her granddaughters Katelyn and Rebekah.